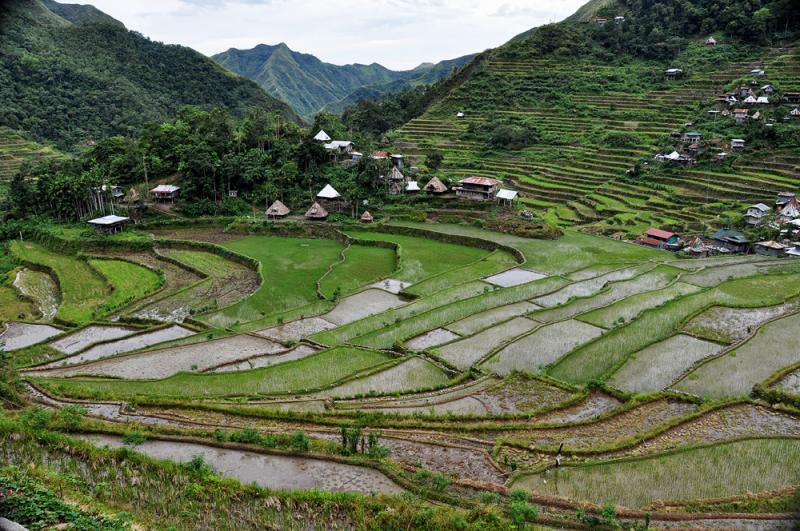 The Philippine Rice Terraces were carved into the Cordillera, North Luzon Mountains in the Philippines over a 2000-year period by ancestors of the indigenous "Ifugao" people. 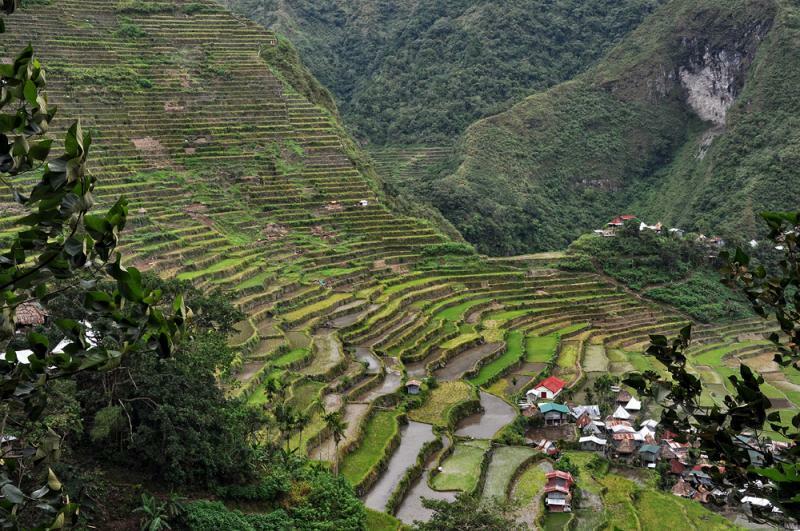 The Banaue Rice Terraces are commonly referred to as the "Eighth Wonder of the World". They are variously located approximately 1500 meters above sea level. 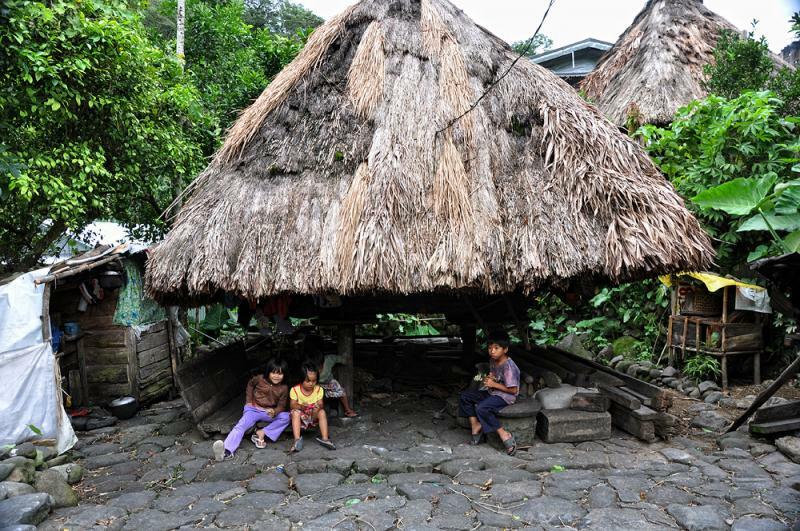 They are fed by an ancient irrigation system from the rain forests above the rice terraces. 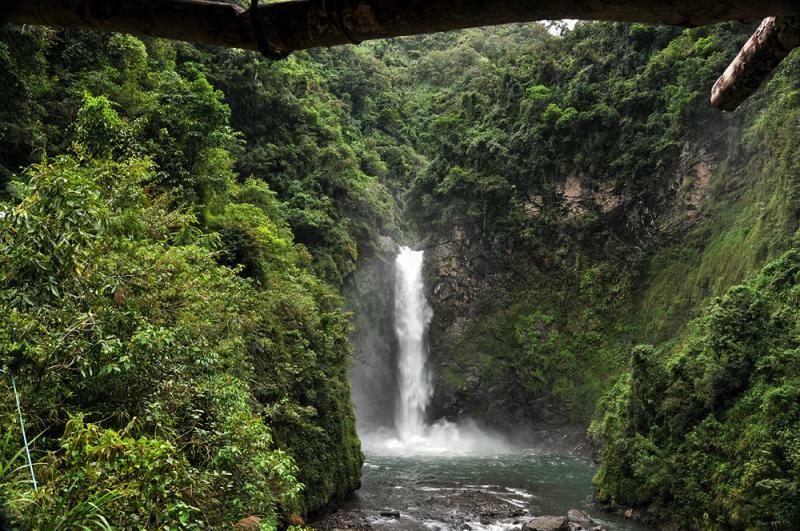 The system comprises of dams, channels and bamboo pipes, which are open and closed in co-operation with each owner. They were built using hand tools only. 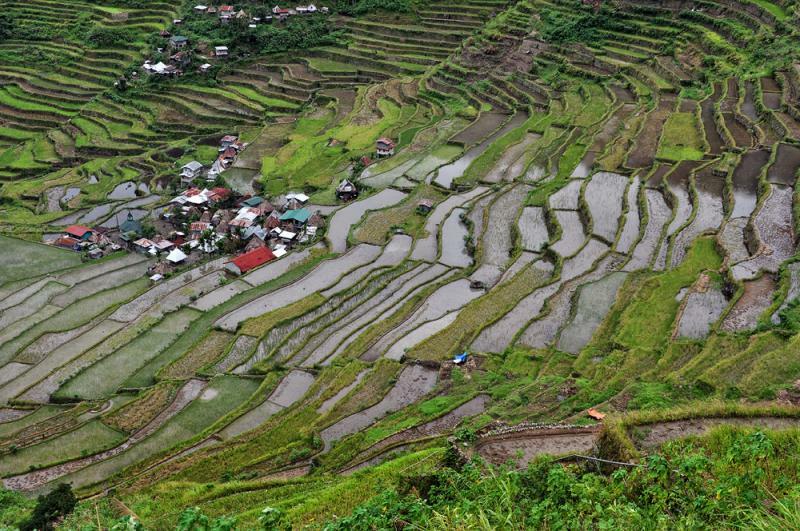 The local people still plant rice and vegetables on the terraces. 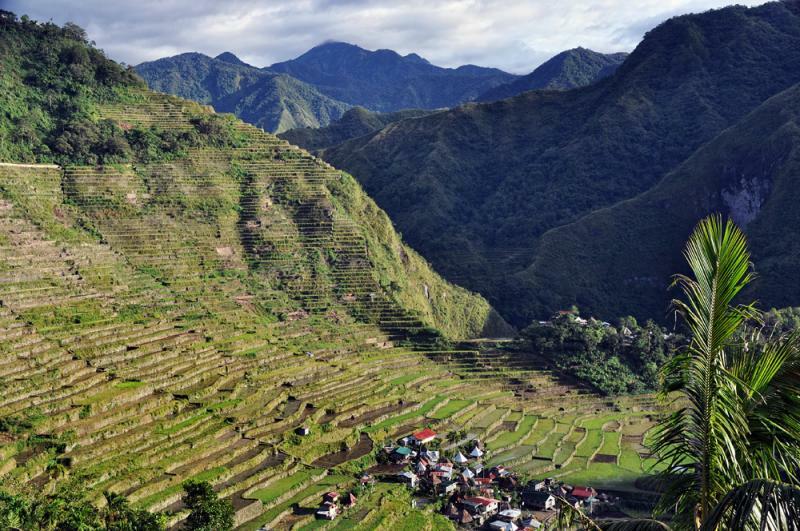 Ifugao rice terraces are stone walls which can reach as high as 15-16 m, they are constructed along the natural contours of the mountain side. The terraces are then backfilled and another wall is then built at a slightly higher elevation. This process is commenced from the valley floor upwards. 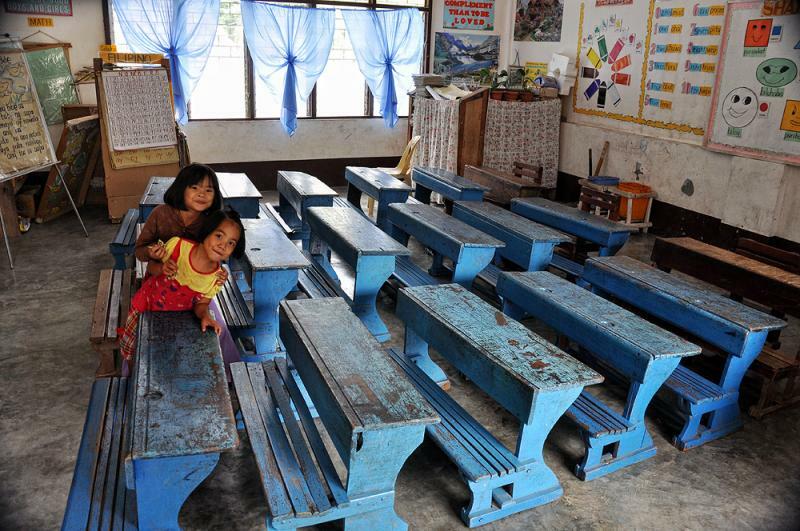 The majority of the Ifugao have maintained their identity and cultural heritage. 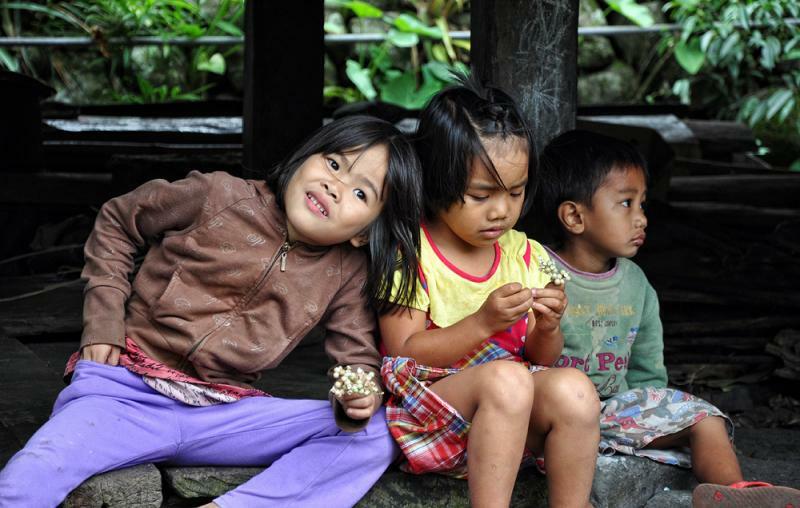 On this trek you spend two nights with local families in the villages of Cambulo and Batad. Arrival to Manila, transfer to the hotel. Rest of the day is on your own. 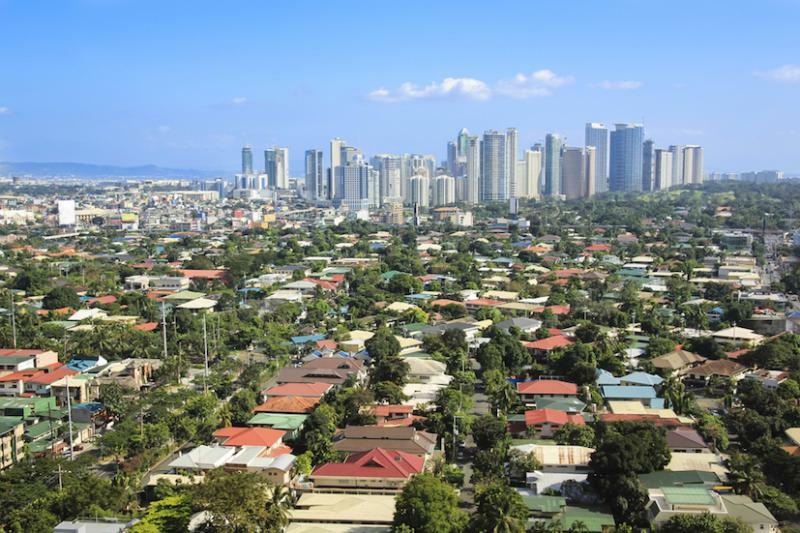 City tour in Manilla: Rizal park (favourite picnic place for the locals with a historic significance as well); Intramuros - the historic city center; The American Cemetery dedicated to the American soldiers who have lost their life here under World War II. You will also enjoy a walk along Manila's promenade. The rest of the day is on your own. Overnight in Manila. The day is at your disposal. You can f. ex. visit Manila's Art Museum or The Museum of Shoes, where you can see Imelda Marcos' 749 pairs of shoes. 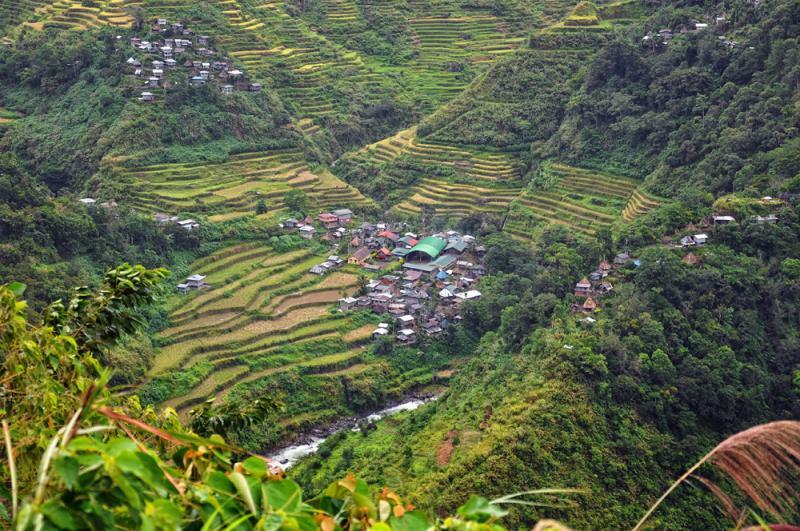 In the evening the trip to Banaue, where your trekking along the rice terraces takes place, starts. At about 19:00 h you will be picked up from the hotel and driven to the bus station. Night bus to Banaue, the trip takes about 9 hours. 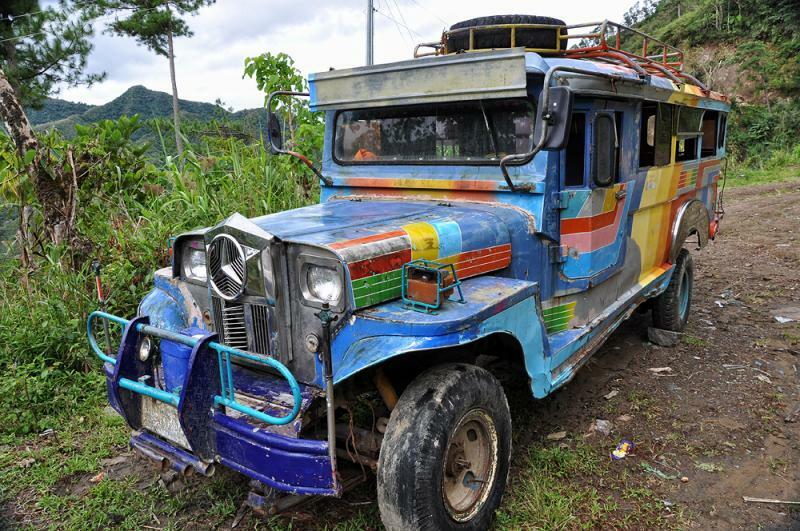 The bus arrives at Banaue early in the morning and you will be met by a local guide. Breakfast at a small restaurant. After that on the top of a tricycle you will be driven to Kinakin, where the trekking towards the Ifugao village of Cambulo starts. You will follow narrow paths among the rice terraces while enjoyng the beautiful views of the mountains and the imressing terraces. You will have lunch at a small local place. In the afternoon you will arrive to the little village of Cambulo, where you will overnight at a budget guesthouse. 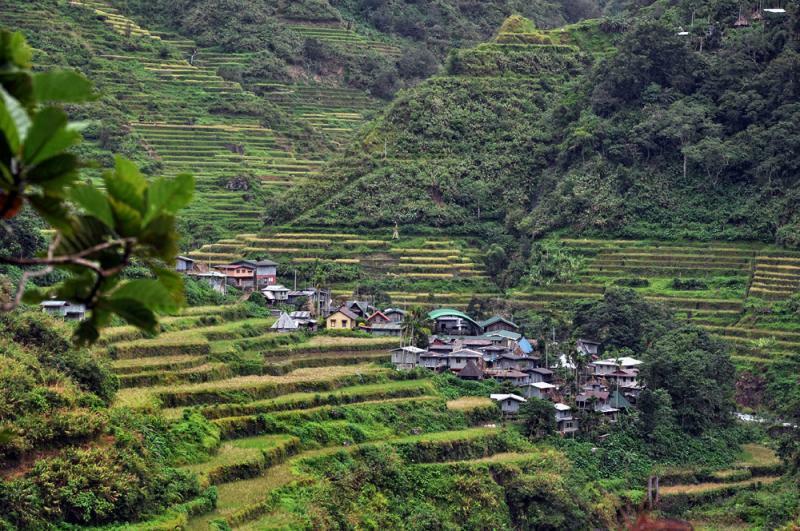 Today's aim is the beautiful Ifugao village of Batad, encompassed by an amphitheater of rice terraces. The trekking to there is about 2,5 hours. 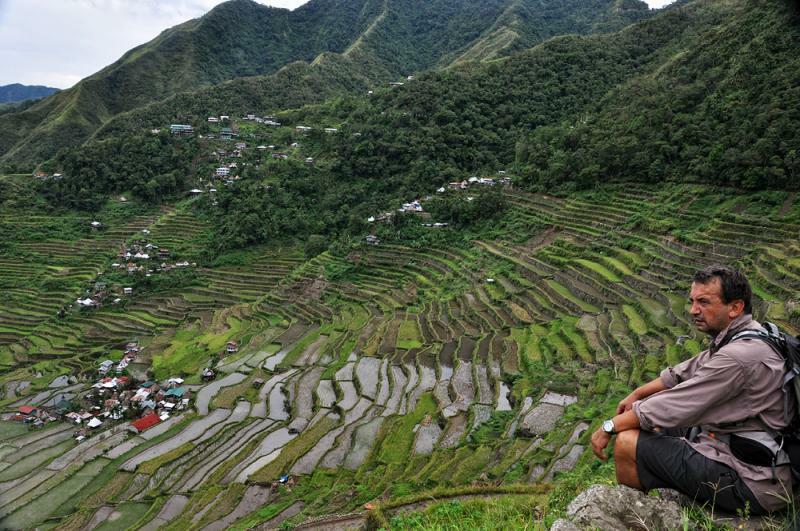 The local people in Batad live just like their ancestors have done it for centuries and you can f.ex. see how they keep the bones of their dead family members. After lunch the tour continues to Tappiyah Waterfalls, where you can enjoy a refreshing swimming (about an hour trek each way). Dinner and overnight in Batad. 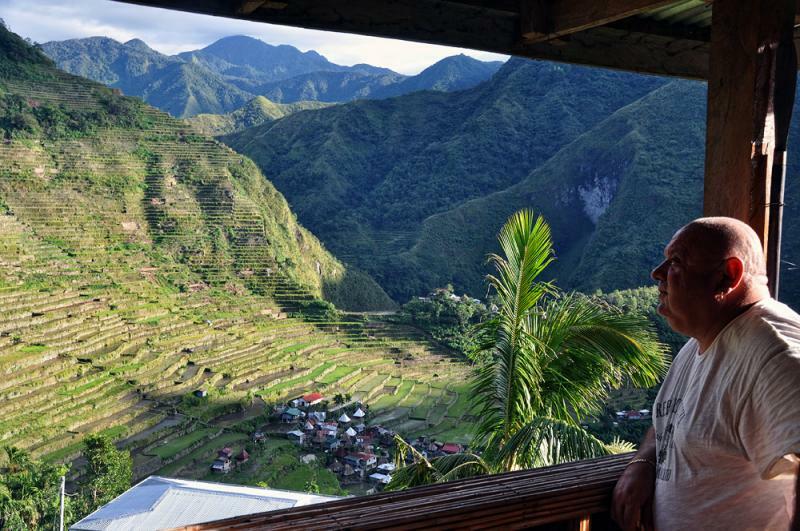 The day is at your own disposal in Banaue. At about 18:00 the guide will pick you up from the hotel and help you take the night bus to Manila (about 9-hour drive). Arrival to Manila early in the morning. A local representative will drive you to the hotel. The rest of the day is free. Or if you have a late scheduled flight - transfer to the airport for departure. Visa: Most European citizens do not require a visa to visit the Philippines for up to 30 days. Solowalks. Part of Penguin Travel Ltd. Collecting experience in handling active holidays since its establishment in 1989, Penguin Travel has become a leading provider in the fields of hiking, cycling, horseriding and birdwatching tours (for more information please visit our corporate website at http://www.penguin.dk). The company specializes in offering tailor-made solutions and aims to deliver value for money products by combining professional approach with in-depth local knowledge and flexibility. Apart from offices in Denmark, Sweden, Norway, Russia and Bulgaria, Penguin Travel has developed a wide network of experienced suppliers in order to ensure the quality, safety and cost-effectiveness of our tour programmes. Our staff unifies young and very active people with university degrees in biology, geography, tourism etc. who have walked most of the routes and know them in details. What you browse now is the company's specialized website for self-guided tours, which are some of our main activities. Unlike other agencies we do offer also tours that have been designed and prepared directly by ourselves (e.g. the trips in Bulgaria and Turkey) as we believe that this is the way to diversify the global market rather than only offering the most popular walking holidays (which we can't avoid on the other hand). We hope you will enjoy traveling with us and we all look forward to reading from you soon.